Oh what a weekend! It started off all peaches & cream, and strawberry dreams! And ended with a few frustrations. Saturday was great! I woke up at the crack of 5 to take the Man to Niketown (crazy I know right!) But he loves his shoes just as much as I. He wanted to wait in line to get a fancy-schmancy pair of limited release Jordan's. Premio Bin #23 something or others HA! Crazy as would have it, he actually got THE last pair in the whole store and they happened to be his size!!! (THANK you to the gentleman he met in line, Terry, who passed them to him, since they were his size! There really are good people still out there!!!) Here they are in case you are wondering! 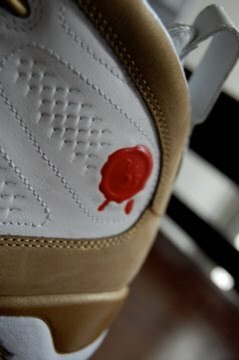 #556/1331 - We are proud owners of numbered pair 556 (Only 1331 made and released worldwide)! After a brief nap, by the Man and a little laundry and housework by me - we headed out to brunch and to shop! 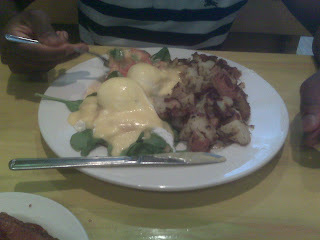 If you are ever in Chicago you MUST have brunch at the Bongo Room in Bucktown on Milwaukee Ave. It is DELISH!!! Our favorite place to go, and the food never disappoints! It is more than your regular eggs and bacon joint. 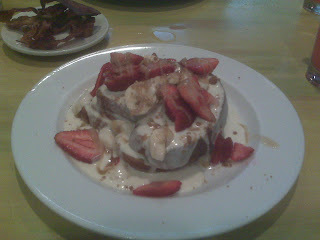 They put a fancy twist on their seasonal menu and to your traditional b-fast fav's! I totally recommend it! Their cocktails are good and the food even better. You may have to wait but it never bothers me, since I can shop at the vintage stores and boutiques in the surrounding store fronts. ME: French Toast, with brown sugar and vanilla bean sauce, and fresh strawberries & bananas. 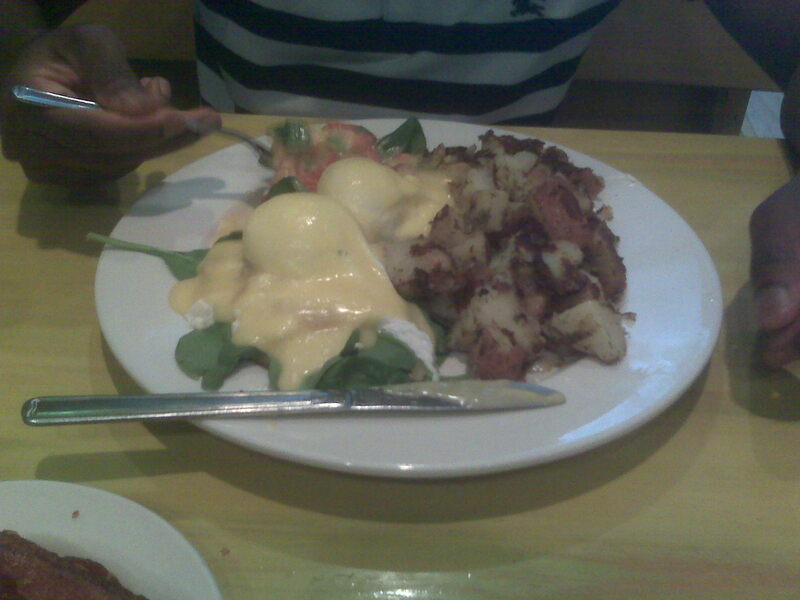 The Man: Eggs Benedict. Mediterrian style with fresh spinach, roasted red peppers and feta with house potatoes. How was everyone else's weekend??? How was the weather? Enjoying the sun-shiney days??? I am LOVING IT!!!! PS - Only one weekend left of single lady-dom!!! The wedding is getting sooo close!!! will be adding you to my blog roll. Have LOTS of questions about what it was like going from ca to Chicago!! So glad you found me!